We have rented from various companies. I whoelheartedly recommend Scott at Grandpa and Grandmas Buggies. 352 552-8478. We have a rental reserved with 1st Cart Rental for a couple weeks in November. They pick up and deliver on the weekends. I'll let you know how it goes, but we are hopeful. 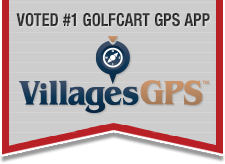 I bought a cart from Vicky and Scott (grandpa & grandma Buggies) and they are great people to do business with. Highly recommend.